Those of you that have been following me know I am all about clean eating. I care A LOT about what I put IN my body. I know that what I eat and drink has a significant impact on how I feel and on my overall health. I am passionate about this. I choose organic produce whenever I can, I avoid foods that inflame my joints and drain my energy, I choose only safe fish/seafood and organic and/or pasture raised animal products and in general work to decrease the toxic load in my body. Then I realized I wasn’t I being as careful about what I put ON my body. As a result, I started exploring safe skin care and makeup over the last year. I started slowly – I first replaced my deodorant and toothpaste. Then I started experimenting with skin care products (lotions, creams and oils), hair care and makeup. Like food, there is a lot of information and products to navigate and a lot of confusing and conflicting information! The average woman, applies 12-20 products before even leaving the house every morning. The European Union bans close to 1400 chemicals in beauty products yet the U.S. only bans 30! Many experts believe that the environmental toxins we are exposed to daily play a major role in the ever-increasing number of health issues. Skincare & cosmetics, along with the food we eat and the products we use to clean our homes, are pieces of the pie that we can control to help reduce our risk of chronic disease. SO I made a conscious decision to replace all of my beauty products with safe products. I realized that if I was being so careful about what I was putting IN my body, I needed to be as careful about what I was putting ON my body – because it really matters as well. Beautycounter is a certified B-Corporation. Not many companies have this. Patagonia and New Leaf are a couple of others that come to mind. As a B-Corp, you must consider the planet and the people along with your profitability. Beautycounter does advocacy work in DC. They will never hide behind a lobbyist. When they head to the hill to demand more health protective laws, that includes Beautycounter executives themselves and consultants. Just this past March, the executive team, as well as 100 consultants went to the Hill and spoke with representatives from every single state and even met with Joe Biden. Beautycounter is incredibly transparent with all the ingredients used and their marketing. They never call themselves a “natural” company – they use about 80% natural ingredients, but also use synthetic ingredients that have human safety data. The goal is a safe product that also performs. Plus, natural doesn’t always mean safe. Lead is natural! Beautycounter has some of the strictest ingredient testing and screening processes in the industry. They have a team of people, led by a hormone disruption researcher from Tufts School of medicine. They vet all the available data before they decide if it is safe or not to use an ingredient. In addition, they test color cosmetics for heavy metals 3x per a formulation! Heavy metals are very prevalent in makeup. A UC Berkeley study found that 95% of lipsticks on store shelves have lead. Most of us think we are avoiding toxins by using mineral makeup. Mineral makeup is some of the highest in heavy metals because they are just prevalent in the earth, so they hitch a ride with the minerals. We are finding more and more that heavy metal exposure is impacting our health. 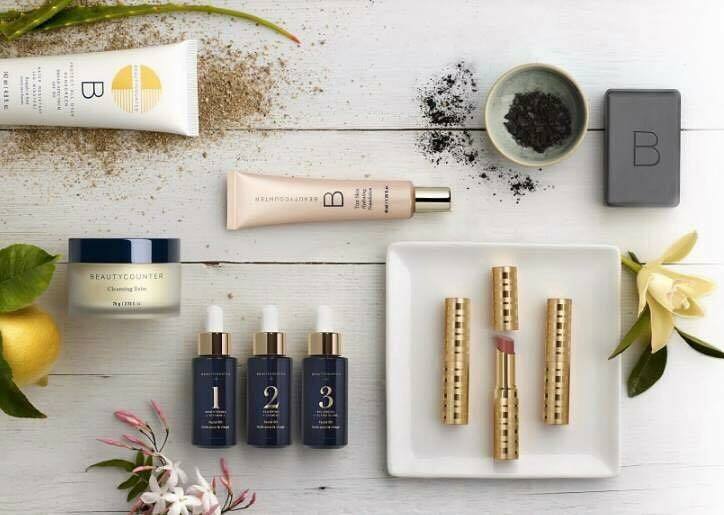 In addition to all this amazing work Beautycounter is doing, they make beautiful products that work well! I was so excited about Beautycounter, I decided to add this dimension to my business. I want to share these safe and effective products with as many people as possible. If you are interested in learning more or would like some guidance about what products might be right for you, you can CONTACT ME or shop with me here: www.marciesbeautycounter.com. I will be running some fun and informative events where you can win free products – stay tuned!